It does not cost to put news in the paper! 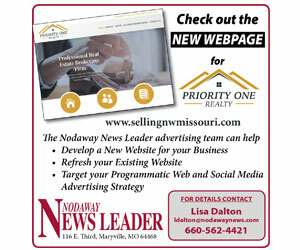 Please bring in your news and picture to the office at 116 W. Third, Maryville; call us at 660.562.4747 or email us at nnl@nodawaynews.com. Make sure photos are in jpeg format if emailing. We love good news!